The story of one family during the most violent and turbulent years of Burmese history; a novel of love and war, colonialism and ethnicity, and the ties of blood. Craig masterfully renders the human condition in matters micro and vast. And as Benny and Khin's story opens up to include the desires and fears of their strikingly beautiful, fiery daughter Louisa, she proves to be a singular force, a combined product of her parents' separate strengths that reveals the power in individual perseverance, even in the face of torture and slaughter. Like many of the best books, Miss Burma feels rooted in its time and place, while also laying bare timeless questions of loyalty, infidelity, patriotism, and identity—not to mention the globally perpetuated unfair treatment of women. It also raises one particularly resonant concern: What does it take to shake us out of complacency? ...the dead-weight melody that resonates across these pages is that of Karen history — one not widely told or realized, either within Burma or beyond its borders ... Miss Burma also serves as a much-needed recalibration of history, one that redresses the narrative imbalance by placing other ethnic, non-Burmese points of view at the center of its story ... In reimagining the extraordinary lives of her mother and grandparents, Craig produces some passages of exquisitely precise description ... If at times the doling out of history lessons feels a tad heavy-handed, with characters occasionally succumbing to soliloquy or unlikely moments of narrative self-awareness, it is ultimately forgivable: The context in which Miss Burma is set is not part of a common well of knowledge. By resurrecting voices that are seldom heard on a wider stage, Craig’s novel rescues Benny from his own foretelling of oblivion and brings one of Burma’s many lost histories to vivid life. 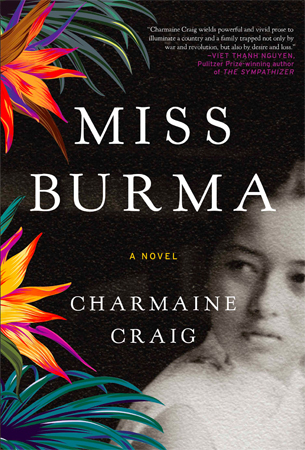 Miss Burma is an ambitious novel, and perhaps for that reason, it falters at points. 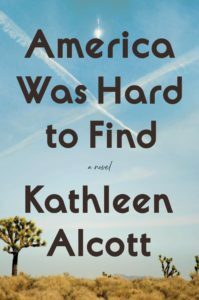 It’s generally hard to marry a novel to a strong political agenda and have it come out unscathed ... In fairness, Craig is drawing from her family’s history. On the other hand, her choice to fictionalize this history gives her license to do a little editing, from which the book might have benefitted. Yet, overall, Miss Burma is powerful in showing the relentless effect of the political on the personal while covering an important swath of history – and all the while telling an awfully good story. What did you think of Miss Burma?